Recently, 16-year-old Brittany Bennett got a tattoo on her forearm. Her choice wasn’t based on a whim, but rather it was an intentional reminder of how precious life is despite the challenges that come when living with a chronic disease. The tattoo is a wind-blown dandelion with the bible verse Psalm 139:14: Beautifully and Wonderfully Made. When Bennett was in 7th grade, her weight started to drop and her mother noticed other disquieting symptoms. At the hospital, her lab work came back with sugar levels alarmingly over the level a person with a working pancreas would ever encounter. Bennett was diagnosed with type I diabetes and it caused significant changes to her life. Now, instead of worrying about homework, friends, or what she will do next weekend, she says her main concerns are giving insulin shots, checking her blood sugar, and making careful choices with food. However, Bennett hasn’t let diabetes change her attitude or limit her choices. “Diabetes actually helps me be proud of myself and it has increased my self-awareness,” she says. Bennett says her family supports her diabetes care, which makes the medications and blood sugar testing easier to handle. For example, Bennett and her family have made testing her blood sugar into a game. Each person guesses her level before she sticks her finger with a lancet and checks it on her meter. “Whoever gets closest gets a small prize,” she says. Bennett checks her blood sugar 6 or 7 times a day to keep her healthy. 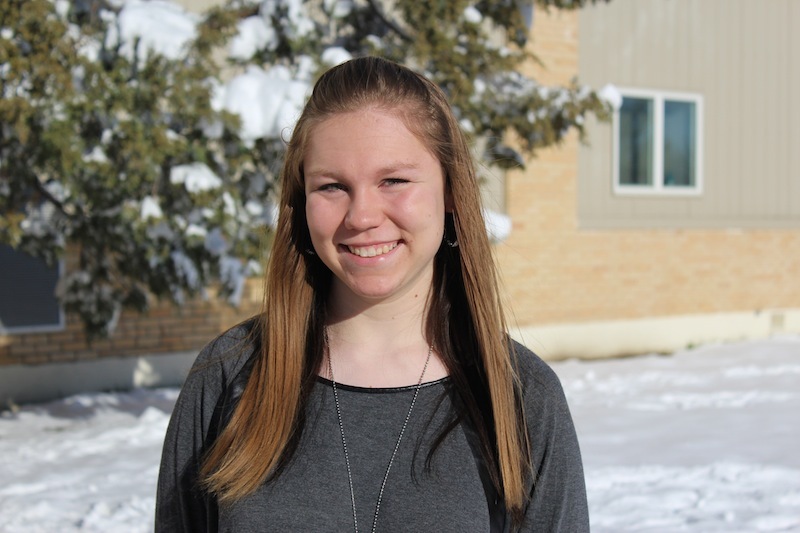 Bennett, a junior at Conrad High School, enjoys doing anything “artsy,” and she plans to pursue a degree in social work or drama. She doesn’t feel like diabetes will hinder her choices if she takes care of herself. Bennett says she hopes that other people with type I diabetes will also endeavor to take care of themselves and also pursue their dreams.